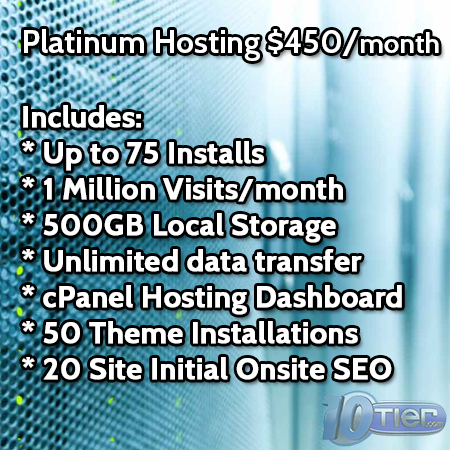 The best WordPress Managed Hosting service compared to ANY entry starter hosting plan! 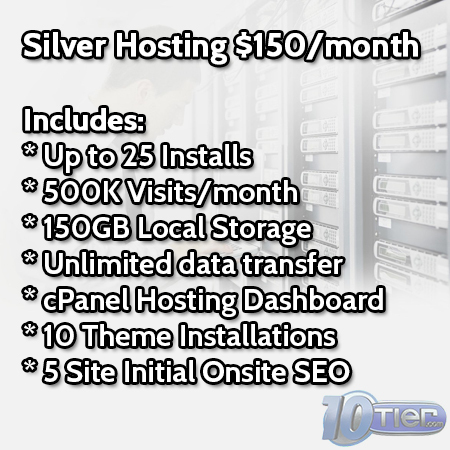 This option is to purchase our WordPress Managed Starter Hosting service. 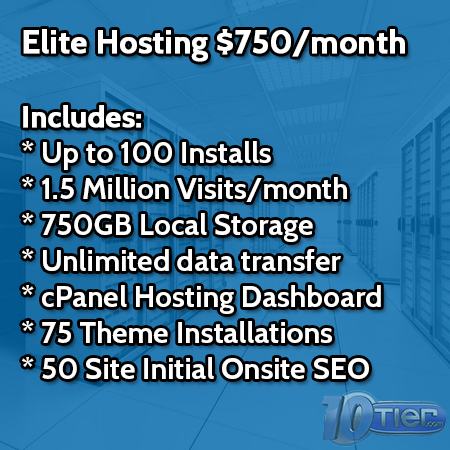 10Tier.com has been providing WordPress hosting since 2004 and we have designed, hosted, and optimized thousands of WordPress websites over the years. If you are looking for a great WordPress Hosting company you found us!